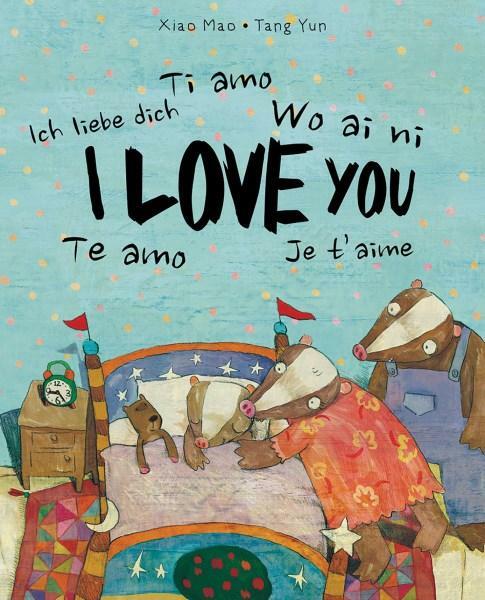 Little Badger learns how to say ‘I love you’ in five other languages — Chinese, Italian, French, German and Spanish. She spends the rest of the day practising her new words by calling out to everything she loves in her world (including everyday objects and people). The cheerful illustrations have an earthy palette and a folk-art feel. I Love You has a very simple storyline with a dose of positive energy. By the time Little Badger gets a good night kiss from her mother you’ll certainly know how to say ‘I love you’ in five more languages, too! Preschoolers will love learning a few words in another language. This would make a good addition to a themed picture book collection for Harmony Day.